We are two young italians, Eleonora and Lorenzo, lovers of Vintage Style and Quality Bicycles and Scooters. For this reason we decided to create the company Bici Bike Vintage. Our Mission is to provide an excellent Bike Rental Service with Vintage Made in Italy City and Cruiser Bicycles that recall the Dolce Vita Style. We also have Electric Bicycles, Mountain Bikes, Child Bicycles, Electric Scooters and accessories for children. 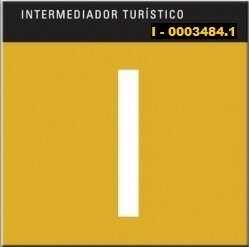 Our Goal is to offer a unique experience for all the tourists that want to visit the south of Gran Canaria and that want to travel on two wheels in ecological, fun, respectful of nature and people's health way. 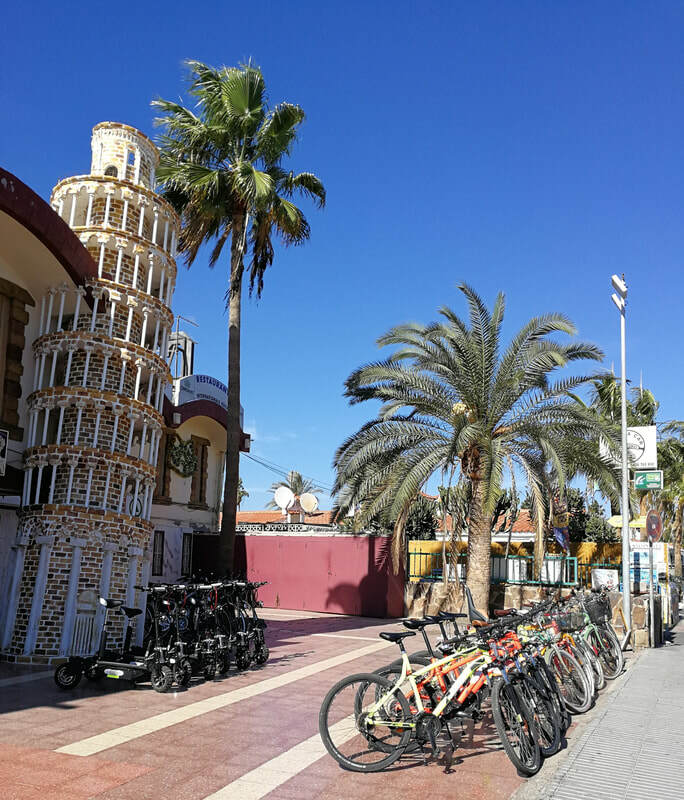 We also organize guided bicycle and e-scooter tours of 2 and 3 hours in Maspalomas city and Ayagaures valley. 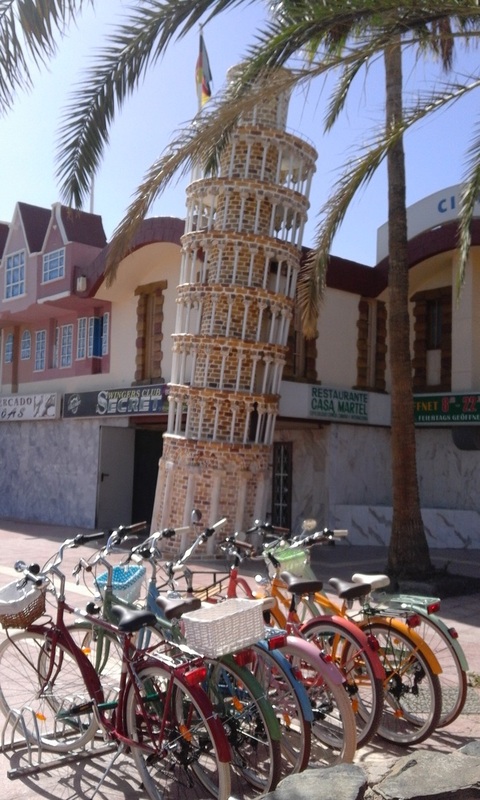 Thanks to our experienced guide and our very comfortable bicycles, you will have the opportunity to ride a bicycle in paths along the most beautiful places of interest of the South with landscaping, natural, historical and cultural points of view in an exciting adventure to discover Playa del Ingles, Maspalomas, Meloneras, Campo Internacional and Ayagaures. A relaxing and non-competitive tour, suitable for all ages and all families. We also rent Electric Scooters. 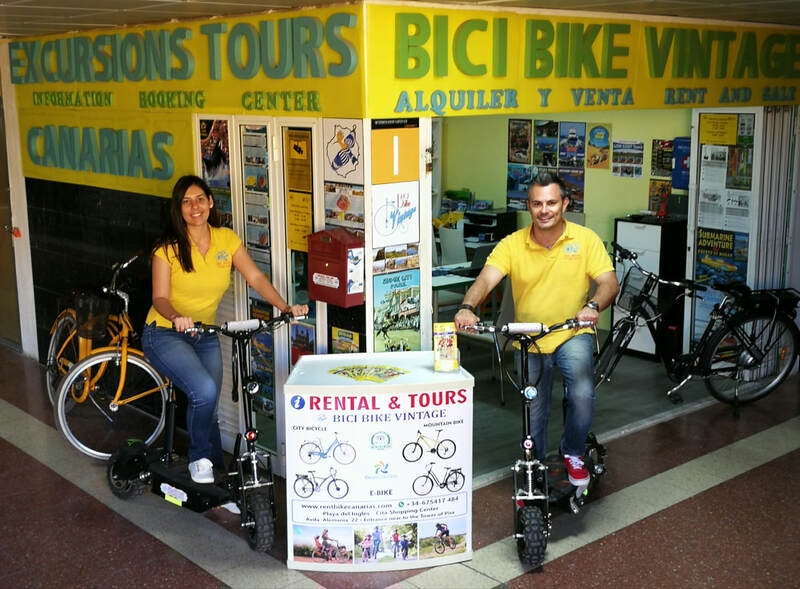 We organize guided tours with Bicycles, E-scooters, Segways, Quads and Hiking. Come visit us in our shop inside Cita Shopping Center - Entrance near to the reconstruction of the Tower of Pisa - in Avenida de Alemania, 22 - Playa del Inglés. Mon. / Mon. / Lun. - Fri. / Fre. / Vie. Sat. / Sam. / Sab. - Sun. / Son. / Dom. ESPANOL: Los datos facilitados por el cliente, serán utilizados exclusivamente para la correcta prestación del servicio contratado, pudiendo solicitar, de acuerdo con la ley, su acceso, rectificación, cancelación u oposición mediante comunicación por cualquier medio al arrendador. ENGLISH: The details given by the client will be utilized exclusively for the proper fulfillment of the service negotiated, and in accordance with the law, access, rectification, cancellation or opposition can be requested by communication with any means by the staff of the hire shop. DEUTSCH: Die vom mieter angegebenen daten werden ausnahmslos für die durchführung der vermietung genutzt. Gemäss dem gesetz kann der zugriff, abänderung oder annulierung der daten mit zustimmung des vermieters erfolgen. ITALIANO: I dati forniti dal cliente, saranno utilizzati esclusivamente per la corretta prestazione del servizio contrattato, potendo richiedere, in accordo con la legge, il suo accesso, rettifica, cancellazione o opposizione mediante comunicazione con qualunque mezzo al personale del negozio di noleggio. FRANCES: Les données fournies par le client, seront utilisés exclusivement pour le service correct contracté, peut demander, conformément à la loi, l'accès, de rectification, d'annulation ou d'opposition par tout moyen par le propriétaire. DUTCH: De door de huurder verstrekte gegevens worden uitsluitend gebruikt voor de juiste uitvoering van de gebruikte service en in overeenstemming met de wet, toegang, rectificatie, annulering of oppositie kan worden gevraagd door middel van communicatie op welke wijze dan ook door het personeel van de huurwinkel. © Copyright 2016 - Bici Bike Vintage - All rights on this website are reserved under current law.